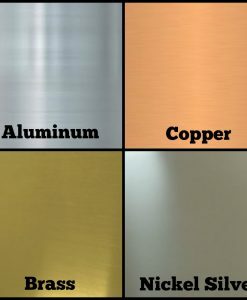 Comes in your choice copper, brass, nickel silver, or aluminum. 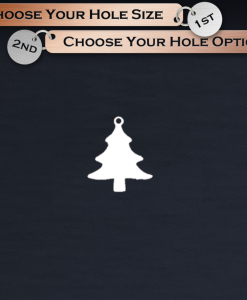 Holes are entirely free. Blanks will have a standard hole size of 1.50 mm. 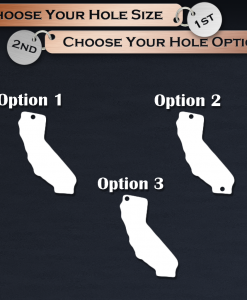 Please select an option from the drop down menu. 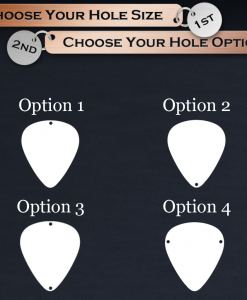 View the "Hole Options" image in the image gallery to view choices for hole layout. 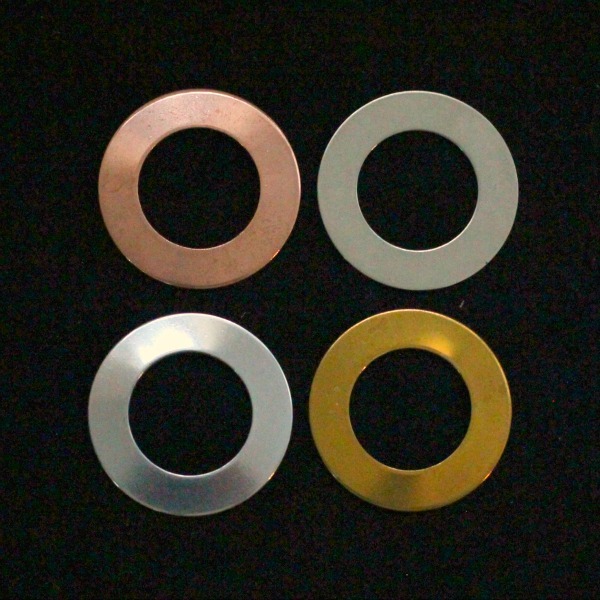 Washer stamping blanks are used for personalizing your own line of hand stamped jewelry. 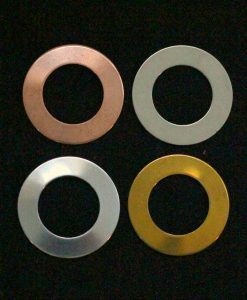 These washer stamping blanks come in a variety of colors included copper, brass, nickel silver and our favorite…Aluminum. Each washer stamping blank has been deburred which means you will receive a completely burr free, smooth, stamping blank ready to work with. 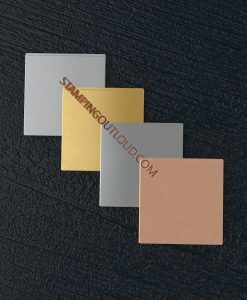 You will love our deburred aluminum washer stamping blanks the best since we’ve developed a unique deburring process that gives our stamping blanks a pretty sheen to resemble the look of sterling silver. 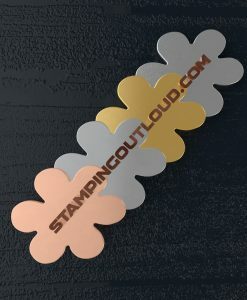 Stamping Out Loud is home of the original deburred stamping blank and remains the leaders in the stamping blank business. 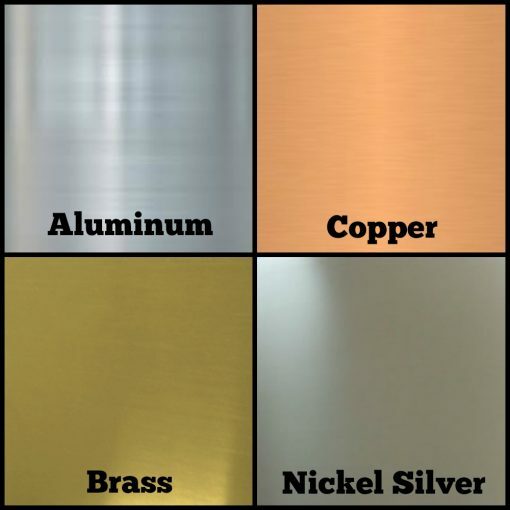 Our blanks for stamping come in your choice of copper, brass, nickel silver, or tarnish free aluminum in Various Gauges. We sell in lots of 5. 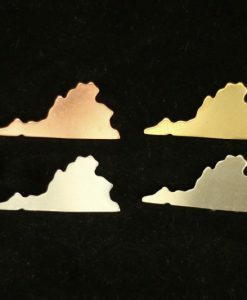 All of our metal blanks are made by us in the USA. Each blank is cut at the time of order using a specialty die and then deburred in our commercial Vibratory tumblers; resulting in a ready to stamp, enamel, engrave, or whatever you may have in mind, metal blank. Make sure to see our other Washers too. Whatever you have in mind, make these cutouts part of your jewelry designs. Learn a little bit more about us and how I got started making our fabulous blanks by clicking HERE. 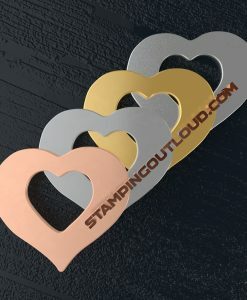 At Stamping Out Loud, you will find nothing but quality, handmade blanks that are very easy to work with. We put a lot of effort into each order so you, our loyal customer, will feel confident in purchasing products from an American owned company. Stamped Metal Blanks Bulk Discount Info! 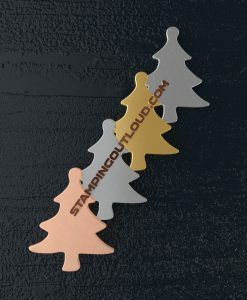 You choose which metal you would like for each pack purchased. 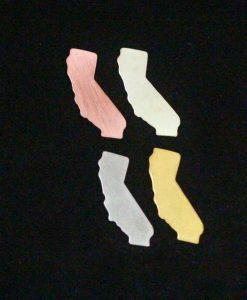 All listings are sold in sets of 5 so when you enter qty 1, you will receive 5 pieces in 1 color and gauge, qty 10, you will receive 50 pieces of 1 metal/gauge and so on. This product is made by hand by us. We start with large sheets of metal sheared down to various sizes of strips to fit our dies. We then cut each individual piece out using a special die plate and punch press.The pieces are then sent through a long deburring process which results in a burr-free stamping blank ready for your customization.